Just like fingerprint on human, every camera also has a unique identity in the form of serial number. 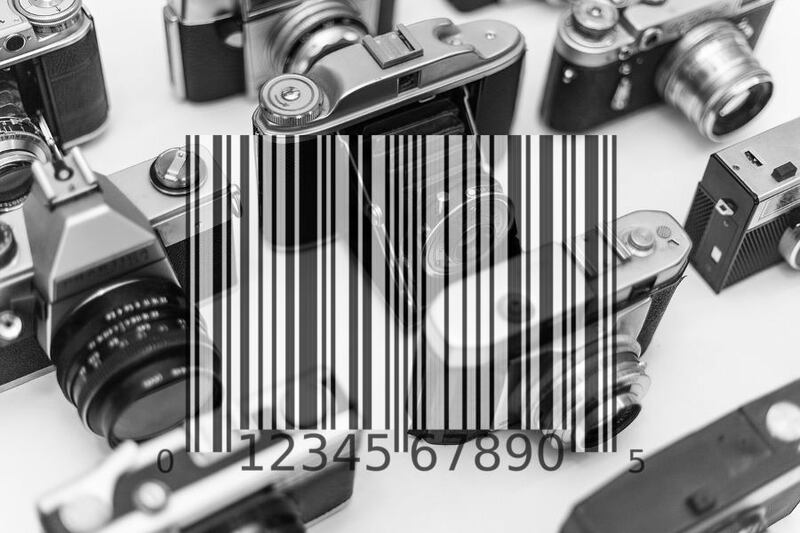 Not just camera, nearly all types of electronic devices have a unique serial number. Finding the serial number of a camera is way easier if you still have its box, or the receipt you got from the shop you bough the camera from. What if you have none of the two? There are two ways you can choose to check the serial number of your camera if you lost the box and receipt. First, by inspecting your camera body. Second, by reading the EXIF data of a photo taken using the camera you want to check the serial number of. Actually, checking the serial number of a camera is extremely easy. If you buy a camera from a good camera shop, the shopkeeper will tell you where you can find the serial number. But, I am pretty sure that not all camera owners know how to check the serial number of their camera. On most cameras, serial number lies on the bottom of the camera body. It usually lies somewhere near the the tripod mount. Serial number is usually printed on a small sticker, along with manufacturing information. 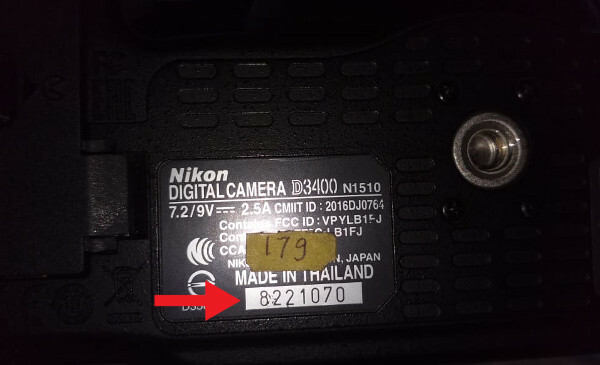 Following is the example of a camera serial number found on the bottom of camera body. The other way to check your camera serial number if you have neither the box nor the receipt from the shop is by taking advantage of the EXIF data of a photo taken using the camera you want to check the serial number of. You can use any app that has the capability of reading the EXIF data of a photo, be it a built-in app of the operating system you use or a third party app. In this example I am going to use an online tool named Get-Metadata. The information provided by Get-Metadata is complete enough. A RAW file might will give you a more detailed information, but a small-sized JPG file is enough to check the camera serial number. I used a JPG file with the size of 243KB to test this tool and it worked. 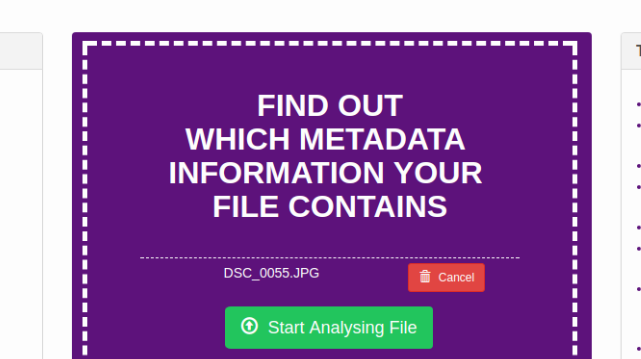 To get started, visit the website of Get-Metadata and drag and drop an image you took using the camera you want to check the serial number of. Then click the Start Analysing File button. Wait a moment until Get-Metadata is done inspecting your image and you will be presented a complete EXIF data of your image. Use the find feature on your operating system (CTRL+F on Windows and Linux) to go to the Serial Number section. There you are. You can see the example of a camera serial number on the screenshot above.